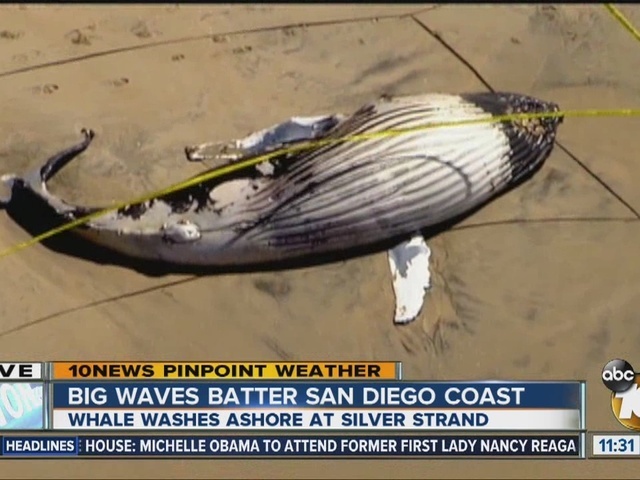 SAN DIEGO - A dead whale washed ashore at Silver Strand State Beach in Coronado. The beached whale washed ashore sometime Monday, likely brought in by the tide, about one-quarter mile from the day use area north of Imperial Beach. 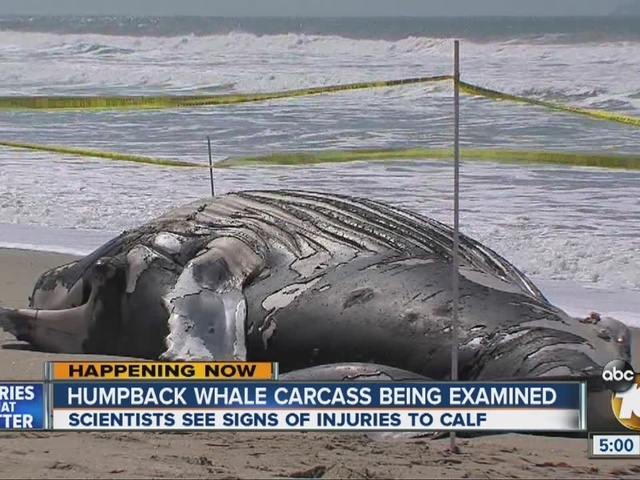 The carcass was still on the beach as of Tuesday morning. Silver Strand State Beach park Superintendent Richard Denison said it was a juvenile humpback whale. Parks and Recreation officials were working on a plan to determine how to remove it. They were asking the public to keep their children away from the carcass.